Journey into Billy’s Rainforest for a one-of-a-kind adventure! Its massive Play Arena is the home of wildly twisting slides, a one-of-a-kind slide and more! 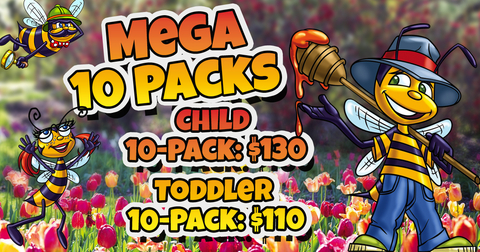 Billy Beez Mega 10 Packs are the best BUZZZ for your buck this spring! Book your next event at Billy Beez! Make your next event one to BUZZZ about! 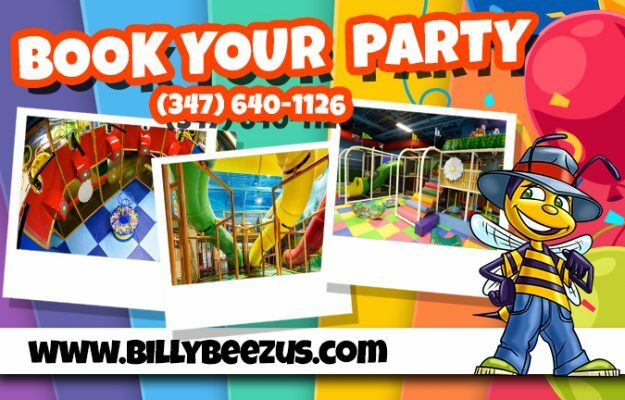 Book your birthday parties, sports team banquets or family get together with Billy Beez! 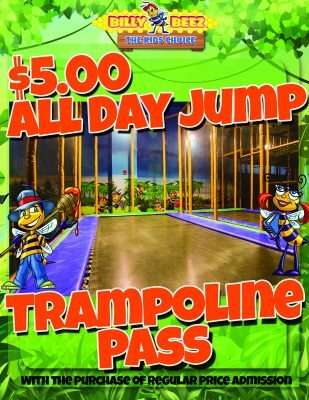 Billy Beez now has $5.00 ALL DAY trampoline passes! Stay and jump all day!